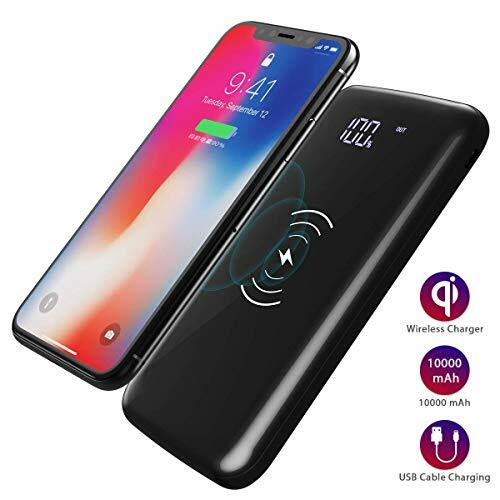 Amazon has the dodocool Wireless Power Bank 10000mAh Portable Charger Backup External Battery Pack with LED Display, 2 USB/Fast Wireless Charging for iPhone Xs/XR/X / 8, Galaxy S9 and More priced at $29.99. Use code MLLV9NZR at checkout and score this for only $21.89 with free shipping. Code expires 2/28/19. Wireless Charger+Power Bank: Wireless charging up to 10W for most QI-enabled devices. 2 USB ports support charging for most smartphones and other devices. LED Display: Smart digital LED display shows the remaining power and the devices connection to offer a better using experience. Convenient and Portable: Stylish and simple design makes it easy to take it in your pocket and enjoy the great convenience of charging your cellphones at anytime and anywhere. Smart Protection: Automatically stop charging when fully charged. Overheat protection, short-circuit protection, over current protection, over charging protection, over discharging protection. Wide Compatibility: Supports most wireless charging cellphones including (but not limited to) for iPhone X/XS/XR, iPhone 8 plus/8, Samsung Galaxy Note/S8/S8 Edge/S7 Edge+, Google Nexus 5/6/7 etc.